Shellbelle's Tiki Hut: Giveaway at The Hut! Sometimes timing is everything and that's the case today! You have all been so sweet and supportive during my recent moves that I thought a giveaway would be a perfect way to say thank you, so when the folks at CSN Stores contacted me recently asking to host another one, I quickly agreed. We love CSN Stores and if you haven't seen their bar tables and stools yet, be sure to drop in check them out! This time around the prize is your choice of a $75 Gift from any one of their over 200 stores. Pick your favorite! With the holidays right around the corner, what could be better? So what do you need to do to be the lucky winner? Since I've been simplifying my life, I'm going to incorporate that philosophy here. All you have to do is leave one comment telling me what your favorite set of bar stools is and be sure I have a way to contact you — either through your blog or email address. since that is where CSN Stores ships. The deadline is Sunday, November 14th at midnight EST. Well, Rhonda, I guess I'm first, which probably doesn't bode well in the random drawing since I never see number one win, LOL! But hey, that's okay! Girl, I found the CUTEST barstool, and I would apply the money toward this. It's name is Hillsdale West Palm 30" Tropical Swivel Bar Stool. And it's faux bamboo. Now, you know that stool in all its cuteness has got to come live at my house, but it's a tad pricey for my wallet right now. But I have been looking for something similar for a long time. Actually, the price is great. Mabye if they go on sale at some point they can come live here. But I like the backless stools, too, and they have a rush seated one (I saw counter height, but I bet they have a bar stool height) that are cool, too! Those would fit in my price point! Oh, and I'm not trying to steal a second chance or anything, but I forgot to say have a great time shelling!!!! Well that was too easy! I like the Winsome Regalia 29" barstool set with rush seat, in black! I really would love some of those! I sure do hope you have a wonderful weekend, it sounds devine! I'm glad you've gotten back to blogging, I missed you. I hope I get the chance soon to catch up on your goings on soon. I just scanned the last few posts and see you have been quite busy "enjoying" yourself. LOL! Be sure and take some more photos this weekend of yourself so I can figure out which gal you were in the photo two posts back. Hope your back is feeling much better now. Have a great time! I do have a counter that these would look great at. 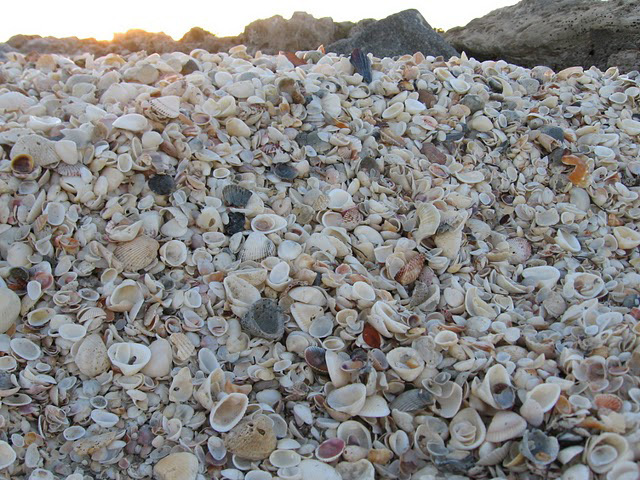 I do love Sanibel and shelling. Have a wonderful time, I am so jealous! The bar stool I really like is Hillsdale Pacifico! Thanks for the chance to win this wonderful Gift Card!! I would rather go to the beach with you guys, but since you didn't invite us, I would accept the gift certificate as a consolation if I am lucky enough to win it. If I had a place to put bar stools I would like to have the Hillsdale Montello 32.5" Swivel Bar Stools. What a wonderful giveaway and just in time for the holidays!! I would pick these cool retro styled bar stools, I think they are so cute! I'm a fan of this bar stool. It says it sits high and because I'm 6'4", I guess it'd fit me right nice! Have fun on vacation! 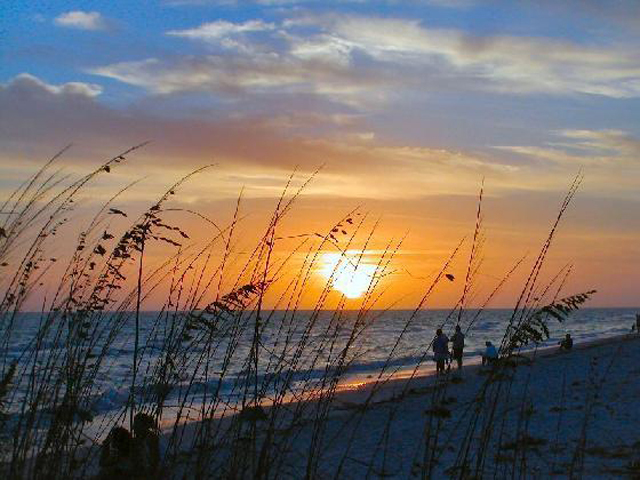 Wish I was going with you to Sanibel...and shelling. I'd love to learn some of your shell secrets. Have a fabulous time (I noticed this morning that the tides were REALLY LOW in the bay. Should be a great time for you guys to find some beauties! Can't wait to see your treasures. I am definitely partial to the Hillsdale West Palm Swivel barstool. Hmmm...I wonder why? I love the Hilldale Pacifico barstool. My favorite barstools are the kind that I have around my kitchen island. Bright yellow with a comfy seat. Looking forward to spending a day of shelling with you...WAHOOO!!!! How fun! I like the soft color of the simple Great American Eco-Friendly Basil Saddle Stool... looks like it would snuggle up nicely to a wall to hold a basket of driftwood or flowers. Count me in on the giveaway! Such an exciting deal and I have the perfect place for this! get in touch via jerdee@comcast.net if I win!!!! Meanwhile, have a wonderful time shellin' with Karen, Ms. Shellbelle! Looking forward to the next few posts! Happy Pink Saturday and what a beautiful share. A giveaway. Yippeee. Please add my name to the hopper. I would love a CSN shopping spree. Christmas is just around the corner. I loved all the bar stools. BUT, well I would have to say that the Hillsdale West Palm Swivel barstool really stole my ole heart. I know I will be walking with you in spirit while you are in Sanibel. I pray you will pick me up a few treasures as well. I love shelling, and it has been years since I have been back to Huntington Beach to search. (That is the closest to the desert out here.) Have a fun time. I can already feel the mist on my face, the water and sand on my toes, and the seagulls cry over head. 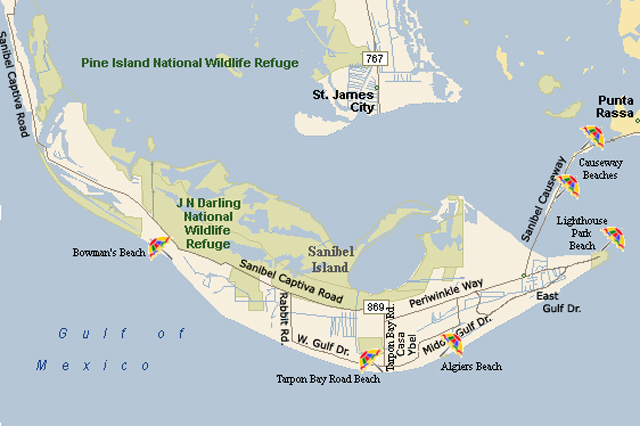 Oh, do I ever want to go to Sanibel Island too! Looks so wonderful! And I would pick the cottage style! They are just wonderful, hope I win! Hope you have a wonderful time shelling:) I like the Great American 30" Double X Chair...just my style! Thanks for coming by! I would choose the bamboo54 bamboo stools. These would be terrific for an outdoor bar or something like that. I'd love to win a shopping trip to CSN!!!! And am looking forward for pics of your trip. I really, really want to visit!! I'll keep an eye out for you ladies, and I wish you the best shelling luck ever! I heard some shells were rolling in just after dark this evening between Gulf Pines and Bowman's. :)) You might want to check that area. the Hillsdale Montello would be the stool for me..
but, I would much prefer being outdoors with you and Karen finding shells..
than being indoors perched on a bar stool..
unless I was sipping a Margarita!! As for the bar stools, I like the Woodbridge Home Design. Great giveaway, count me in. Hey, Rhonda. I am soooo behind in my blog reading and have definitely been missing hearing from you. I come to visit and find out you are having a wonderful giveaway. We blogger gals love CSN! Although I love those cute little red Regal Caracau ones, I'd probably choose the Hillsdale Montello...love the back on them. So you are soon to be off for Sanibel...sure wish I were going with you. I am definitely in need of a vacation!!!! Have fun! this metal bar stool would be nice to have. Crosley Upholstered Saddle Seat Bar Stool (yummy in leather)...if I had a place to put them ...and if I had time to sit on them. 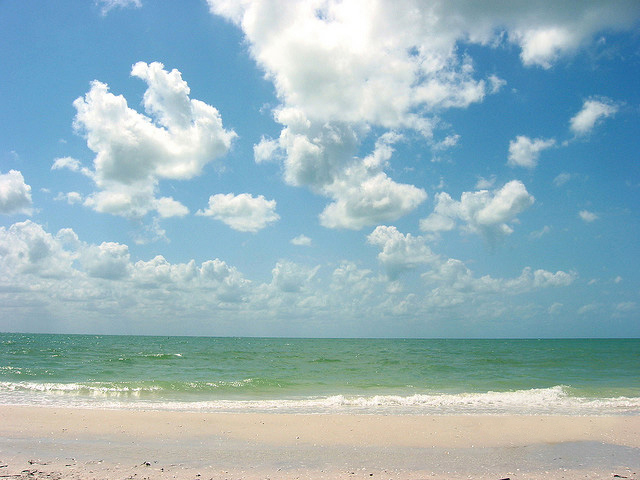 love your blog (just found it) and Love Sanibel. Three trips down this year. Hope you have endless days there and lots of shells!! I want all the barstools. All of 'em!! Have a blast.....quiet, relaxing blast! Missed you again - I guess you are lounging around on Sanibel about now. Would love this CSN gift card for the Holidays! Hope you're well & having fun!! Oh gosh, aren't those outdoor bar stools GREAT?!!!! I could put my name on one of those in a heartbeat! BUT, since I have 5 grandsons, I think I'd have to go for the Hillsdale Senoma adjustable stools. They would raise my grandmotherly cool factor immensely! How are you!! WE miss you but it looks like you are having such a wonderful time, I can't wait to get down to Florida next month and get my toes in the sand!!! I hope you are rested, relaxed and finding lots of lovely seashells. no contest entry here just sending a warm hello~back on home ground and visiting wonderful friends!